Tips For Healthy Foreign Travel, From Pink Pills To Apps : Shots - Health News Two travel tips are often overlooked by clinicians, and can be especially helpful when people are headed to places with less-than-ideal plumbing and sewage systems. Heading someplace where you could get traveler's diarrhea? Try packing some prophylactic pills containing bismuth subsalicylate, such as Pepto Bismol. When planning a summer trip abroad, it's easy to think, "Oh, I'll just hop over to a travel clinic, and they'll tell me everything I need to know — and do — to keep from getting sick." A study published last week in the Annals of Internal Medicine found that travel clinics missed giving the measles vaccine to about half of eligible travelers. For nearly a third of the missed cases, doctors or nurses simply didn't offer the vaccine, even though measles is a problem in many parts of the world, including Western Europe and Mexico. "That's very unfortunate," says Capt. Gary Brunette, who leads the Traveler's Health branch at the Centers for Disease Control and Prevention. "A traveler can be very easily exposed to measles around the world. That risk is very real." With international travel, Brunette says it's best to figure out what you need before you go to the clinic, and then discuss the items with your doctor. So, to kick off the summer travel season, we're offering two tips that are often overlooked by clinicians. Let's start with what you're most likely to suffer from while traveling: food poisoning. About a quarter of travelers will get gastrointestinal problems within the first two weeks of an international trip, studies have found. The major advice clinics give is, "Watch what you eat." The CDC even has an app to help you decide whether or not to put that raw cheese or carnitas into your mouth. The app is appropriately name "Can I Eat This?" That strategy won't hurt, but also might not help. Science just doesn't back it up, says Daniel Leung, an infectious disease doctor at the University of Utah. "There have been only a few studies on the topic, and they've shown that dietary discretion does not seem to change the risk of getting traveler's diarrhea," Leung says. "Even people who are eating street food or aren't being very careful may not be at higher risk." But science does support another strategy; a prophylaxis that clinicians often overlook. We even missed it when we reported on this topic back in 2015. It's cheap, safe and ... it's a beautiful pink color. Yep, I'm talking about Pepto Bismol, or any generic alternative with the same active ingredient, bismuth subsalicylate. 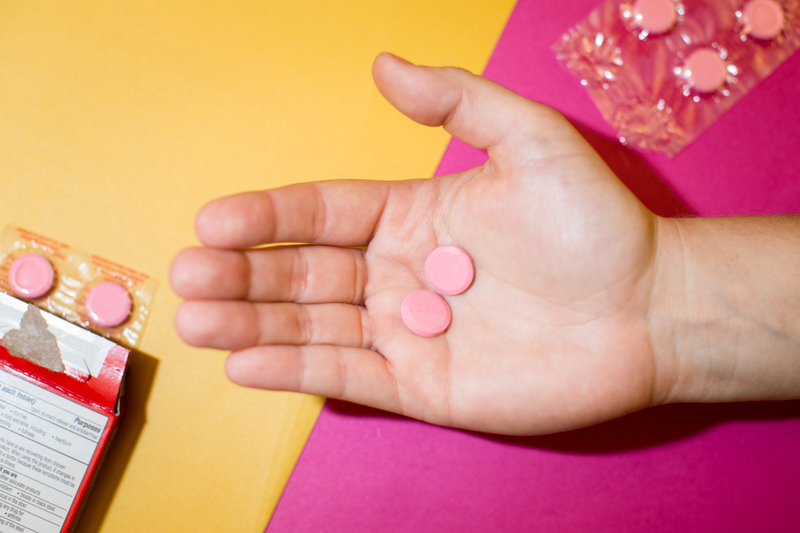 Back in 1987, a study found that two tablets of Pepto Bismol tablets, taken four times a day, cut the risk of traveler's diarrhea by more than 60 percent. The pills dropped the risk from 40 percent to only 14 percent. The study wasn't super big, just 182 students traveling to Guadalajara, Mexico, but it was a randomized, placebo-controlled study, which is the gold standard design for medical trials. And it showed a dose-dependent effect. 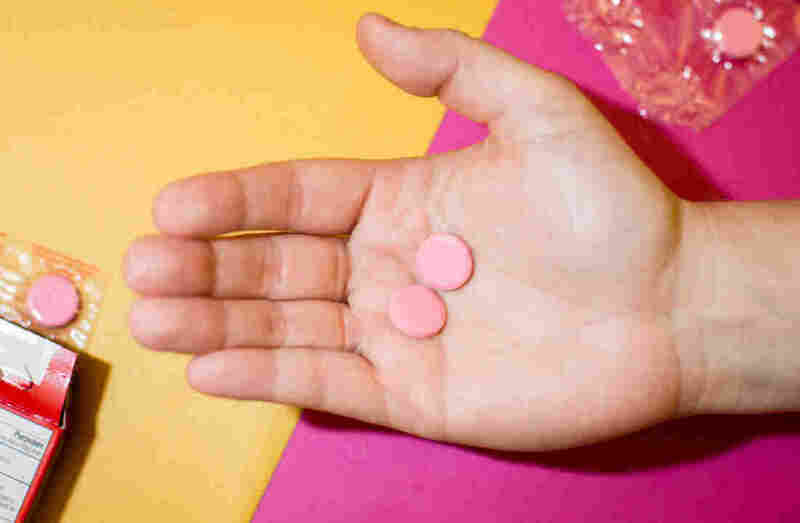 A lower dose of one tablet, four times a day reduced the risk by 40 percent rather than 60 percent. "The findings showed fairly clearly that Pepto Bismol is effective at preventing diarrhea," Leung says. So why don't we hear more often about this strategy? "For one thing, the study is old," Leung says. "A second might be because drug companies don't widely market Pepto Bismol." And some travelers might find it tough to take pills four times a day, he says. But even less frequent doses might be helpful, Leung says. Bismuth subsalicylate is known to have antimicrobial properties, and it may actually form a protective layer on top of the intestinal wall. If you do get sick, Leung says, the pink pills may come in handy again. Bismuth subsalicylate can shorten the duration of a bout of diarrhea, and is a good alternative to antibiotics, Leung says. There's a good chance you might need a vaccine, says Brunette, even if you're just headed for a quick trip to Europe or the U.K.
That's because the CDC recommends that all international travelers be up to date on "routine vaccines," no matter the destination. "You know, we try to stress this, with both travelers and clinicians, because some clinicians won't check to see if you've completed routine vaccinations, such as the measles," Brunette says. Routine immunizations are the ones we get as children. The list is long. It includes about a dozen vaccines, everything from the pneumonia and whooping cough vaccines to those for Hepatitis A and B. When you add onto this list any shots recommended for your specific destination, the list of possible vaccines can get complicated. Plus, the CDC's recommendations often get updated. Just a few weeks ago, the agency officially started recommending the cholera vaccine for travelers headed to places with ongoing outbreaks. And last month, they warned of a potential yellow fever vaccine shortage. To make sure your clinician gets the list right for your specific trip, Brunette recommends using the CDC's new travel app, called Trav Well. "It will suggest the vaccines and medications you probably need, and it will ask you to take those recommendations to your doctor about four to six weeks before you travel," Brunette says. "I think it's very helpful and can certainly make the whole process of preparing for trip a lot easier." In a previous Web version of this story, we incorrectly referred to yellow fever vaccine as yellow vaccine.